As you know we attended a huge bridal show on June 12th. , so I wanted to share with you a few pictures of our booth and the decorations we had!! 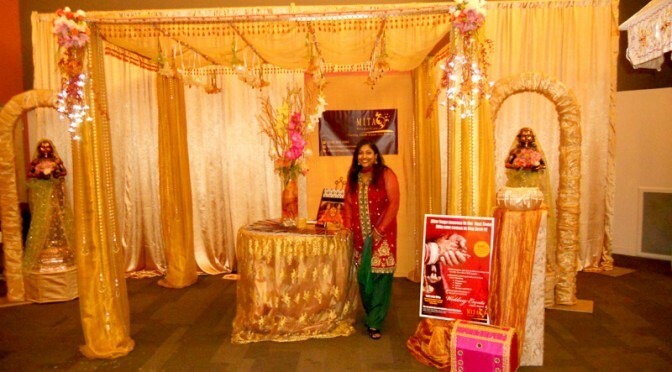 We had the most amazing and creative booth set up, courtesy of one of our preferred partners at Pushpanjali. The most frequent question we were asked was about the Manzanita centerpieces we showcased. We pride ourselves with innovative ideas and details and as you can see from the table, there were plenty. Couples that stopped by were entered for a chance to win a free Day of Coordination as we were one of the grand sponsors for the show. Thanks to Creative Studio for taking photos of our booth! I was given the opportunity to say a few words on stage regarding our services and I was honored to have the chance to speak to all the wonderful guests who attended the show.  We cannot wait to work with each and every one of you that signed on with the Mita Events team!